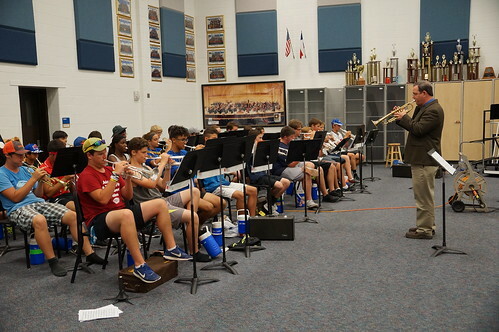 Eddie Lewis is available to direct trumpet sectionals at your school. He’s been doing this sort of work since the early 1980’s. 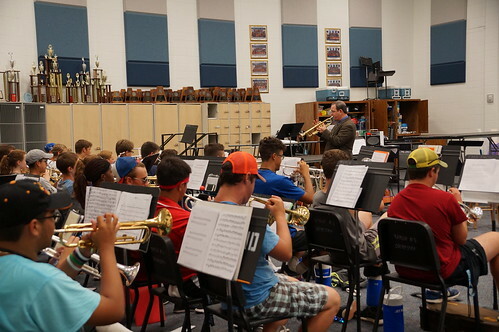 Eddie’s approach to sectionals is to first work on the music that the band directors want the students to learn. 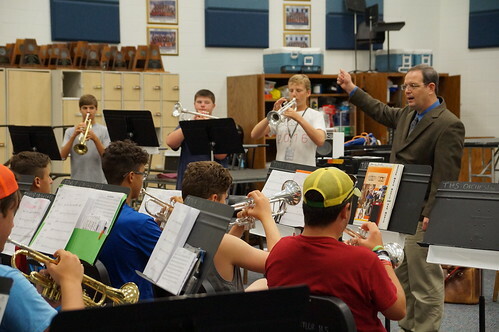 But then, beyond just that, he teaches the students in a way that helps them play better as a section in general. This means that what he teaches them on their current music also carries over to the music they will play, as a section, on future performances. When time permits and when it is appropriate to do so, Eddie incorporates listening games into the sectional. The students enjoy the “exercises” and it encourages them to grow their ears and help them play better, as part of a team, performing as one. Mr. Lewis will often ask the top chair of each part to stand in front and face the rest of the section during the sectional. This is to help encourage the students to listen and match those top players. When we talk about sectionals, we don’t typically include rudiments or audition music, etc. A sectional – in the scope of this website – deals only with learning music the section will be performing with the ensemble. This is a bit different from masterclasses, clinics or workshops, which will deal more with the students’ personal progress than with ensemble work. But please keep in mind that this nomenclature is strictly for providing clarity here on our website. You can hire Mr. Lewis to do anything you want with the students and it doesn’t matter to us what you call it.